Is your HVAC system acting up? Our technicians are trained in the latest technology to work on all brands of heating and air conditioning units and can accurately diagnose any problems you may have. We perform maintenance on existing systems and offer seasonal HVAC maintenance service plans to the residents of Centreville so that you will be automatically put on our schedule for two visits per year, in spring and fall. Providing proper maintenance for your existing systems will keep them running efficiently and help you to avoid expensive HVAC repairs. Centreville is a great place to work, and your employees need a cool, comfortable workplace to stay productive throughout the year, and you need great commercial HVAC systems to keep your office that way. If your business has an older system that is developing problems, you want to start shopping for a new, more energy-efficient system. By making an investment in new commercial HVAC installation, you’ll no longer need to empty your wallet for constant HVAC repairs and you’ll save money on your energy bills as well! Contact us today to schedule an in-house consultation in Centreville, where we’ll thoroughly investigate your entire HVAC system including the ductwork and other important areas. After looking over your existing equipment and ventilation components, we will consult with you to assess your particular needs. Only then will we offer a detailed proposal indicating the options that are suitable for your situation. At HVAC & Plumbing Unlimited, we’re known for striving for excellence in everything we do, and that includes our comprehensive commercial heating and cooling services in Centreville. From HVAC replacement and installation to maintenance and repair, we have all the great services your business needs to maximize productivity and minimize costs. Great service from Ronnie. Quick and informative with his service. Jeremy was extremely thorough and went above and beyond my expectations for the visit. He took the extra time to explain what he was doing and why things were the way they were. It definitely made me feel better about the system inspection and the overall health of the units. Service tech was fair, knowledgeable and helpful. He gave me options for the Heater/AC service to meet my needs with an older unit. He was very helpful and thoughtful about my HVAC system and the costs. Very professional and knowledgeable. Quick and easy with no problems. Would definitely continue business and recommend to other. Jeremy was prompt, courteous, friendly and efficient. He did a great job. 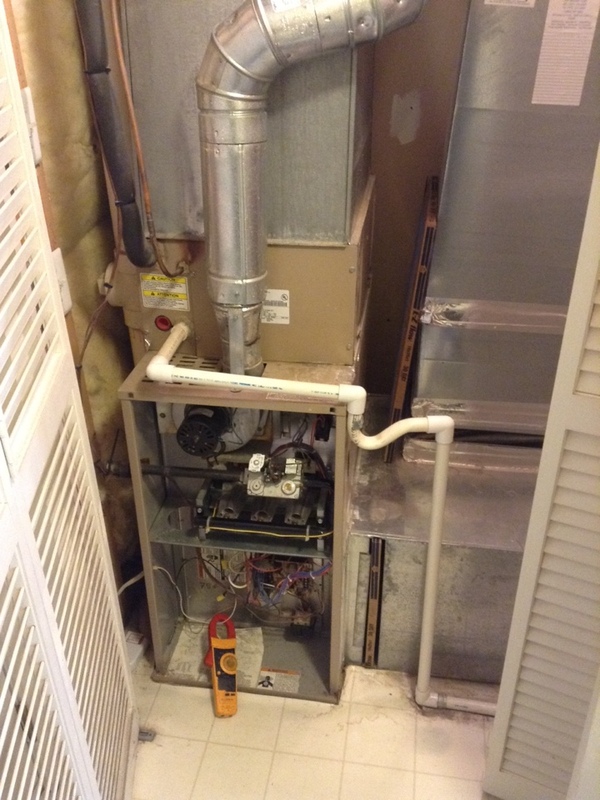 Performed routine maintenance on a York heating and cooling system.